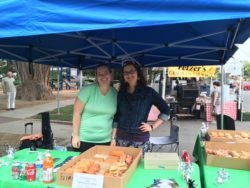 Beaverton Library Foundation will be selling donuts at the Beaverton Farmers Market on August 12 and September 16 at the Beaverton Farmers Market, located next to the Main Library. Please stop by our booth and say hello! ← Book Corner Grand Re-opening!